Google Adsense new method of review has left many bloggers in doubts as to whether the implementation of the review method is effective. Google came out with a new method of review where site owners are required to place a code below the <head> tag in their blog template which appears to be less effective and less simple than the previous method where the code is simply added in the blog widget. 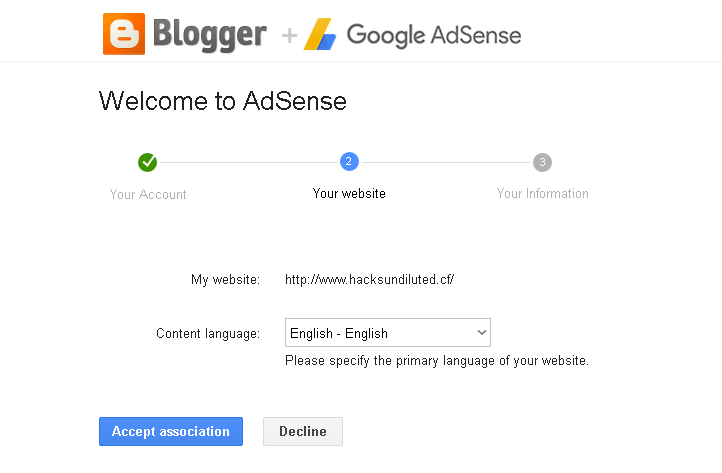 The latest Adsense code appears to have a bug because when placed below the <head> tag in the blogger template, it doesn't get parsed. This means you have to either parse the code using a html parser tool (http://htmlparser.com) or you have to tweak the code before it gets parsed.Even when done, you may never get a review as the crawlers may not detect it. These methods seem very crude and it honestly beats my imagination as to why Google will come up with a code that is not parseable even with Google's own blogger. 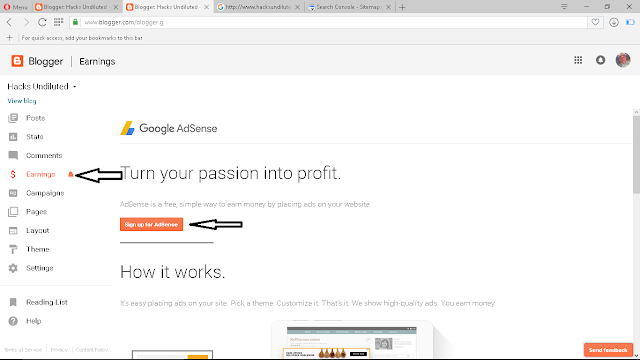 In this blog post, I will show you a simple way to get your Adsense application reviewed without placing any code. Login to your blogger dashboard and click on the Earnings tab and then click on sign up for adsense. Check the screen shot below. When done with the registration, you'll be redirected back to blogger where you'll see a notification that your account is under review. Old domain names could take between 2 to 7 days to be reviewed. New domains will probably take longer and can take up to one month. To get a faster review with a new domain, make sure your blog gets organic views from search engines. 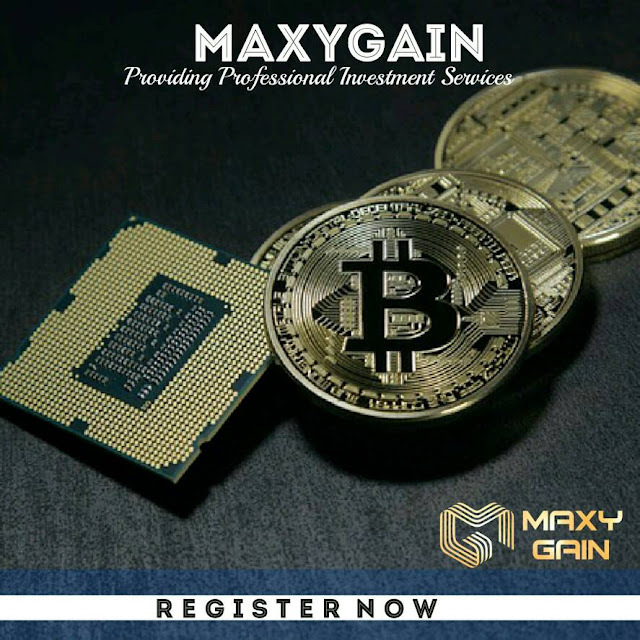 What If the email address associated with my blog has an active adsense account, an account under review or a banned account? In this case you cannot apply using this method. The way out of this mess is to make a another email address (of course one that isn't associated with adsense) the admin of your blog. Access your blogger dashboard using the new email address and repeat steps 1 to 4. 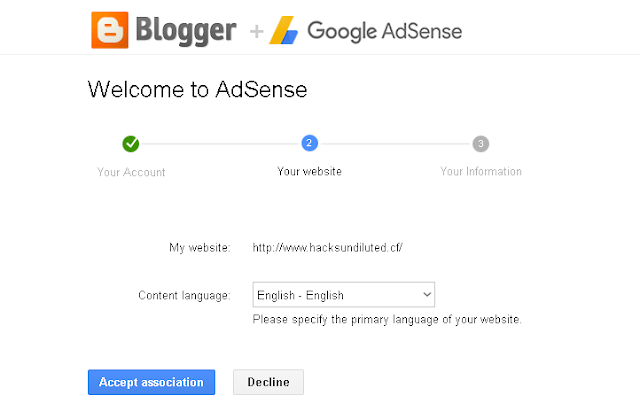 I hope you enjoyed my little secret on how to get adsense review without pasting any code in your blog templates. Stay tuned for more hacks and be sure to share this post with your friends. Thanks for your comment. I will suggest you wait for my next blog post for detailed explanations. This is a review guideline and not for approval.